Secret of The Tomb. Ralph and Eva are fascinated by the old Egyptian culture. And they have dedicated almost their whole lives to this subject – the life of pharaohs. At the moment the two of them are in Egypt and they are about to discover a new unidentified grave. They believe that the grave hides a big secret and Ralph and Eva initially like to find out who is buried in this grave. And of course, what kind of a secret is hidden there. Since digging tombs is rather serious job and it asks for a lot of dedication and attention while doing it. Ralph and Eva would need some help. It would be very nice if we make a team together with them and help them dig up the grave and discover if they are on the edge for a huge discovery. 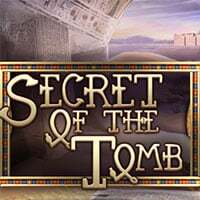 Enjoy and have fun in playing Secret of The Tomb Game.